Is there anything that can stop bitcoin’s runaway price? Just days after the digital currency crossed the jaw-dropping price of $10,000, it has risen by another 50 percent as hopeful investors pour in before the party ends. And when it does, many of those latecomers are going to wish they had resisted bitcoin’s allure, said Mark T. Williams, a Boston University executive in residence who studies virtual currencies. Bitcoin blew through the $18,000 level midday Thursday on one of the major exchanges, and spent much of the day trading in the $17,000-zone. Its price has risen by a factor of more than 15 since the start of 2017, when it was around $1,000. Bitcoin is but one of dozens of so-called cryptocurrencies that are built around a technology called blockchain, which allows people to conduct transactions in a way that can be verified by both sides without the help of a third party such as a bank. Such cryptocurrencies can be bought and sold online anonymously, but they are not backed by any government, which means the price can fluctuate widely. Most also are not accepted as currencies in common transactions, such as retail purchases. Though bitcoin was the first currency of its kind, Williams said it is no longer unique enough to justify its sky-high prices compared to similar digital currencies. The skyrocketing prices are coming as the Chicago Board Options Exchange and rival CME Group prepare to begin allowing traders to buy futures in bitcoin in coming weeks. That means people will be able to bet on price changes in the currency without actually buying bitcoin. That might put some drag on prices because it offers investors a way to bet on the value of bitcoin going down. Other factors that might have caused bitcoin buyers to think twice have done little to dampen speculation. A bitcoin company in Slovenia said this week that it had been hacked for the possible theft of tens of millions of dollars. “Despite no regulations, despite no consumer protection, despite cyberhacking that is happening in this industry, investors are racing to get in,” Williams said. 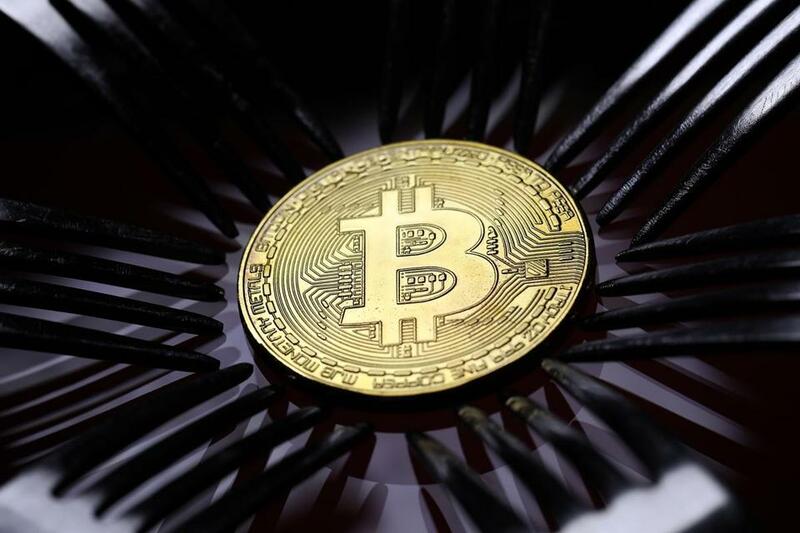 Williams said he hopes a fall in bitcoin does not dampen the outlook for blockchain technology, which has many applications for online security and digital innovation because it limits the potential for fraudulent transactions. Material from the Associated Press was used in this report. Andy Rosen can be reached at andrew.rosen@globe.com.